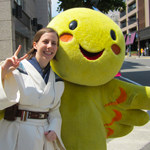 I am getting ready to dive into my next big project, and one of my favorite costumes ever, Leia's Cloud City outfit. I've been doing a lot of research and reading up on other threads. For the cloak, I haven't decided yet between getting the Spoonflower fabric (the short embroidered version in crepe de chine — I'm 5'3) or getting some other crepe fabric if I can find it cheaper and plotting out the pattern on the fabric myself. It all depends on how big of a price difference it will be. I will be hand-embroidering it either way. 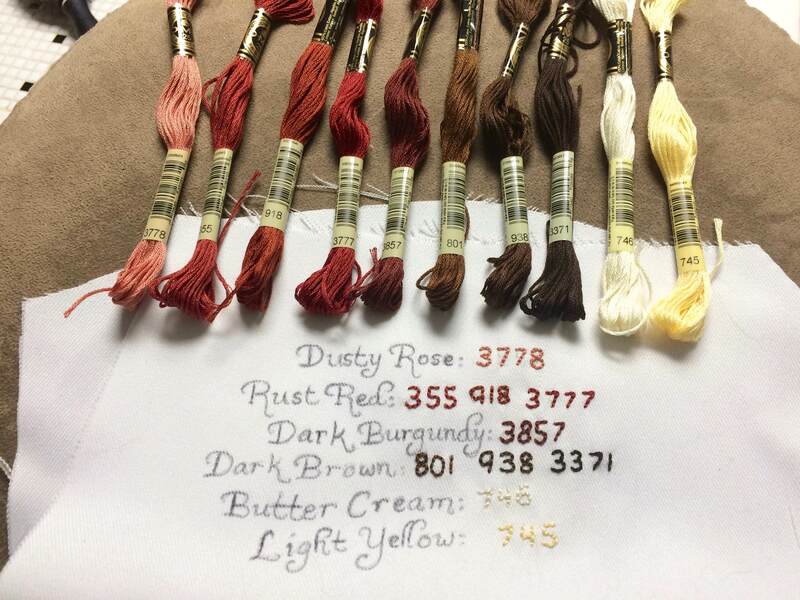 I've got some embroidery floss that I'll post pictures of sometime soon — I based the colors I got off of the info in Fuzzy_Jedi_Slippers' thread but DMC has updated their colors since then and there were some I couldn't find exact matches of. 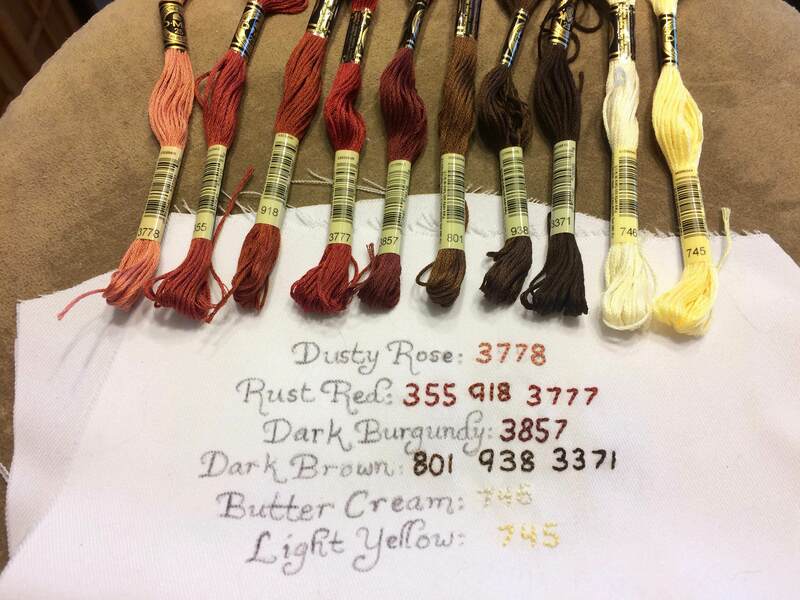 I ordered a bunch of Kreinik #32 Braid in Copper for the trim which has come in. 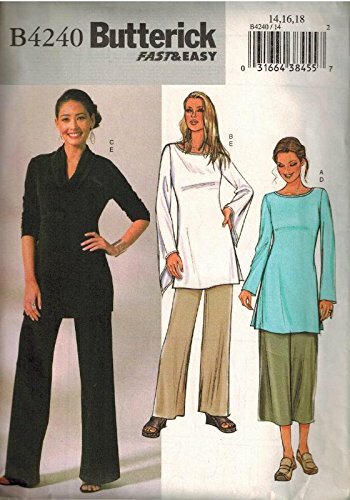 For the pants, I decided to search for some harem pants that weren't so baggy, since I keep reading that people need to take them in a lot. After staring really hard at reference pictures of the actual costume and doing some internet searching, I found McCall's 7684 (from 1995), which I think will work well. I'll probably do view D, gathered and cuffed around the ankles. What do you all think? 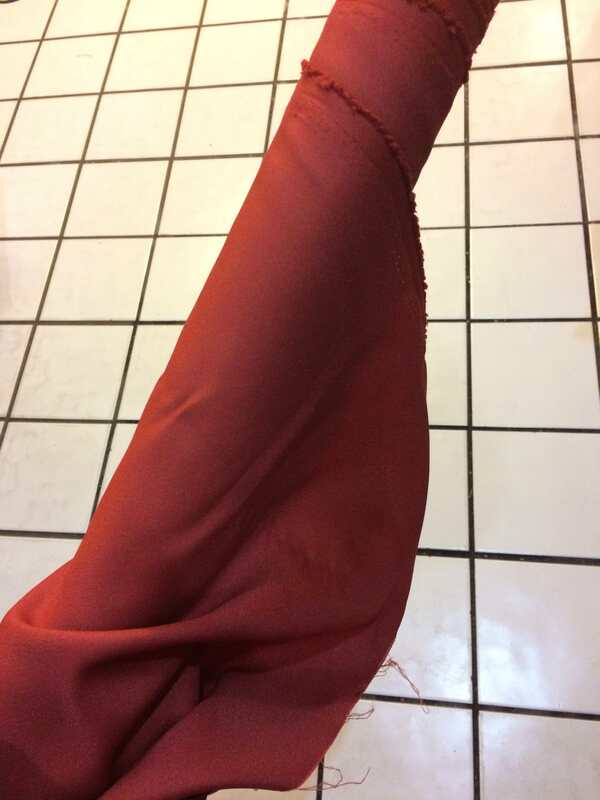 They also have the color Chili Oil available in their Casa Chiffon, so if the crepe works I could conceivably use the chiffon to line the cloak. I think it looks like an excellent choice, and that you should go ahead. 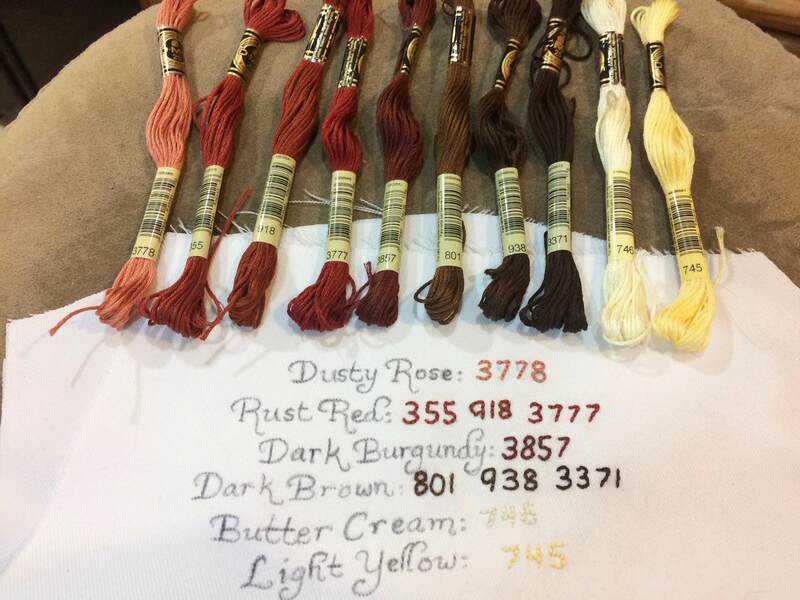 I'm back with a bunch of pictures of embroidery floss colors and cloak/yoke fabric. 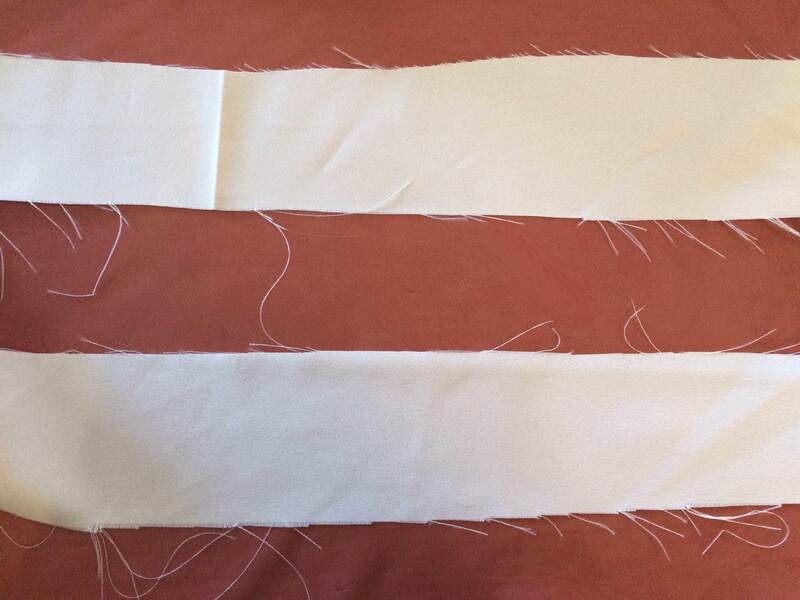 For the cloak, I measured myself and decided I need a 42 inch pattern. Unfortunately the Spoonflower petite embroidery pattern is 43", a slight bit too long for me, however the petite non-embroidery pattern is 42". 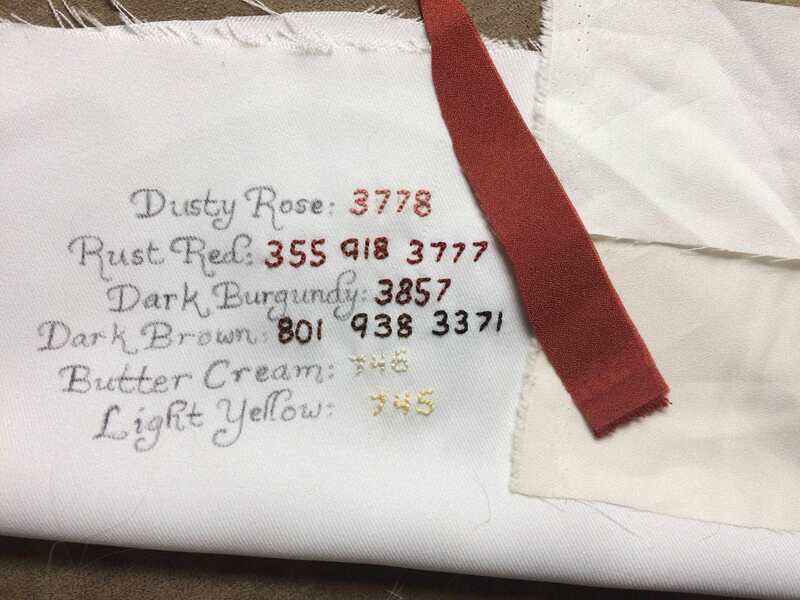 Consequently, I decided to get a yard of the petite non-embroidery fabric in cotton and use that to transfer the pattern by hand onto crepe fabric I'll order separately. 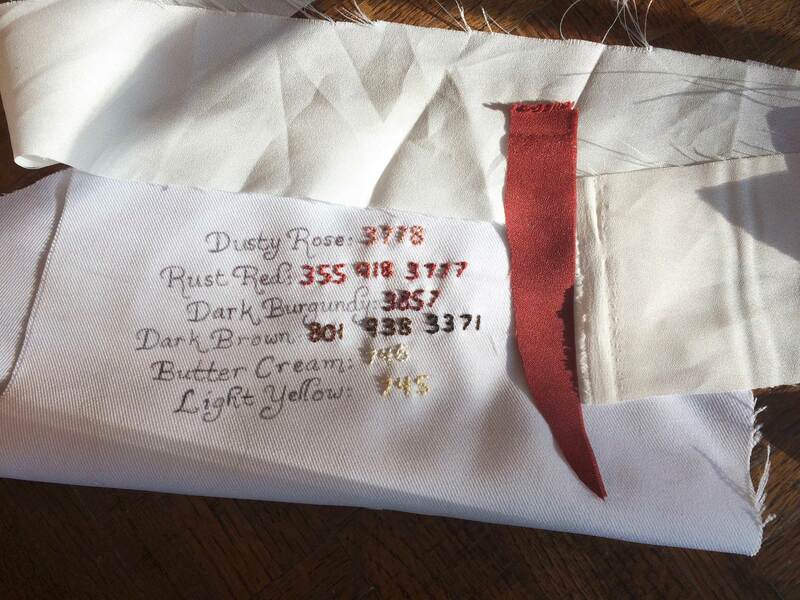 The upside to this is that the whole thing will be cheaper, but the downside is the extra work of tracing it out! Much better than tracing it from scratch though. 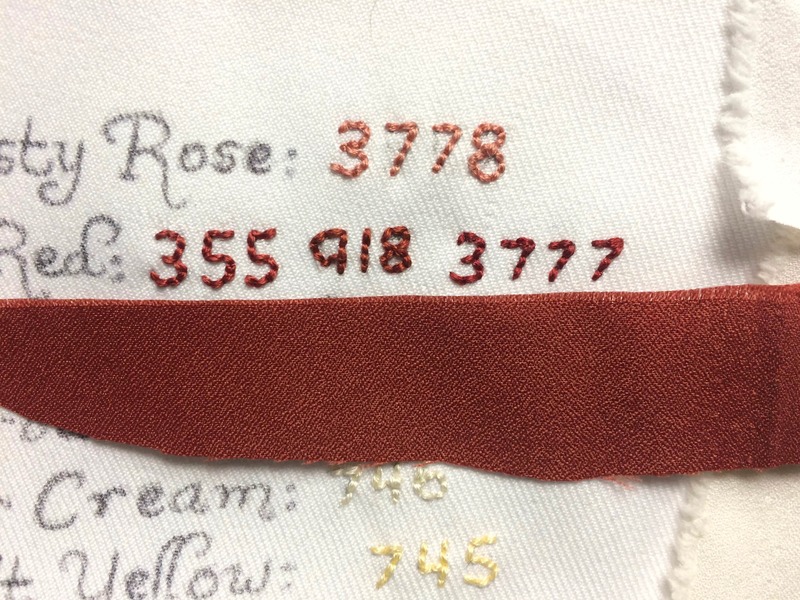 Right now there are two options I'm looking at for the cloak crepe: Joann's Casa Crepe in either Snow White or Eggnog (both ivory/off-whites). I'm leaning a little toward the Eggnog as I feel like it looks a little more like the pictures I've seen of the costume, but it's hard to tell exactly what color the original is! 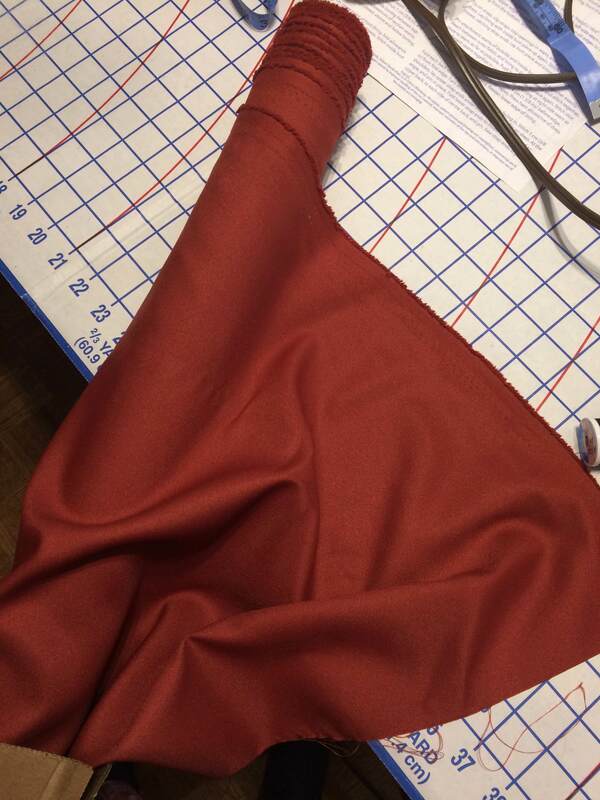 And of course, it's all lined with the rust color so that may be what makes it look darker in the pictures. 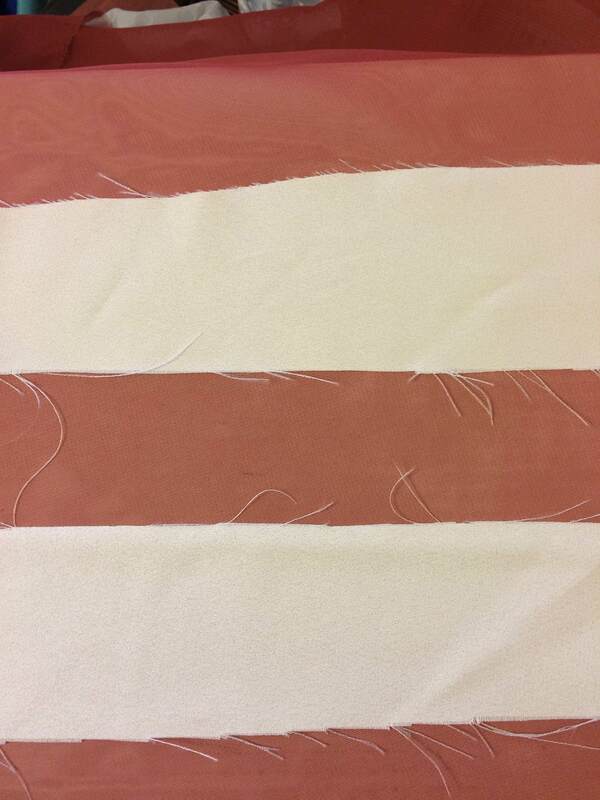 I got samples of both colors of crepe at my local store and I'd love feedback on which you all think would work better. However I was not able to find the same rust red color she had (DMC seems to have made changes to their colors since her post). 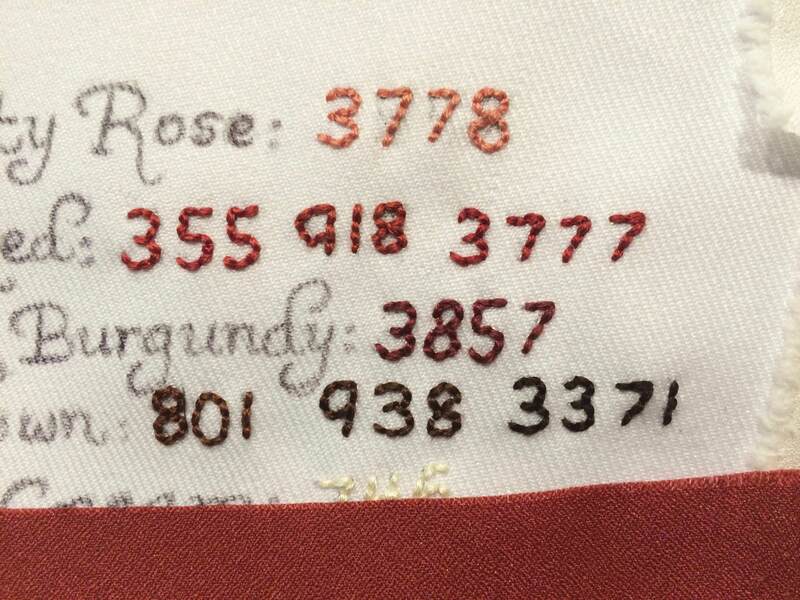 I did find a brown of the same number she used, 801, but it looks too light to my eyes (about the same or lighter than the burgundy). 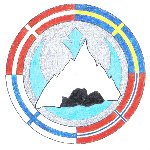 In the pictures of the original the brown looks darker to me. 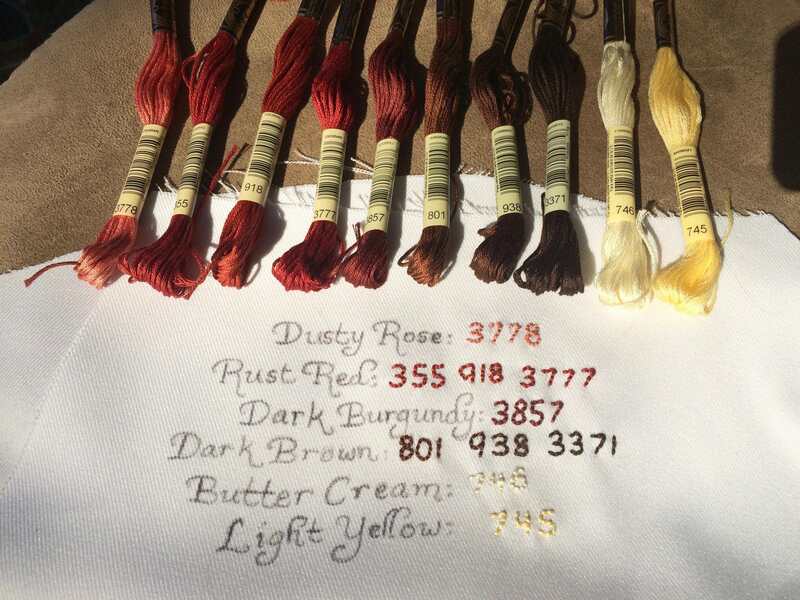 Consequently, I have three different options for Rust Red (355, 918, 3777) and three options for Dark Brown (801, 938, 3371) and I'd like your feedback on which looks best. 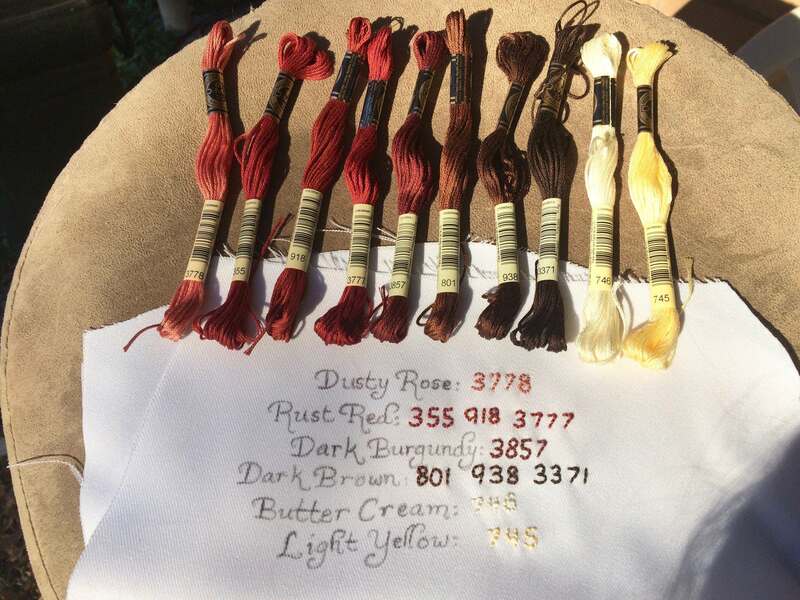 For the brown I'm definitely leaning towards 938. 3371 ended up so dark it looks almost black when embroidered. As for the rust, I have no idea; they're all very close. 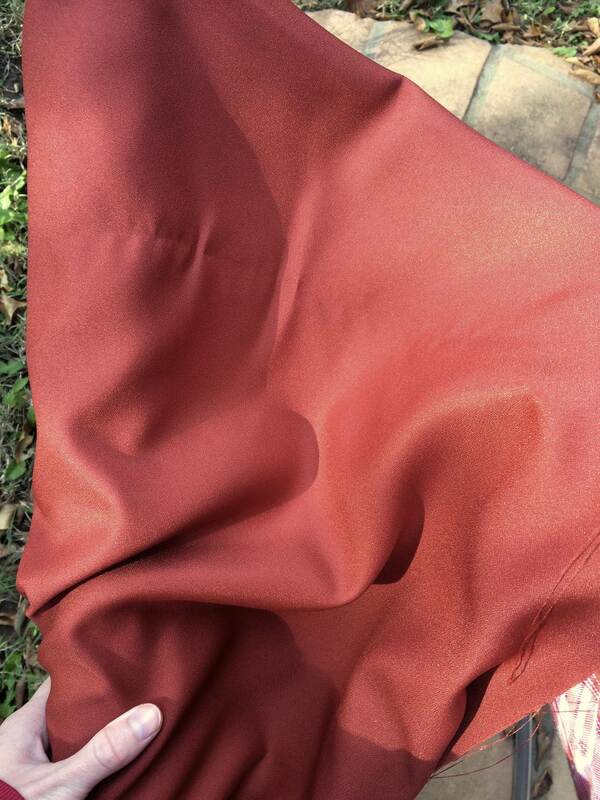 I put a swatch of my tunic/pants crepe in the later pictures for reference. What do you all think works best? I am partial to 3777 and 3371 for how well they play with the other colors, but I'm not familiar enough with the costume to say which is most exact. 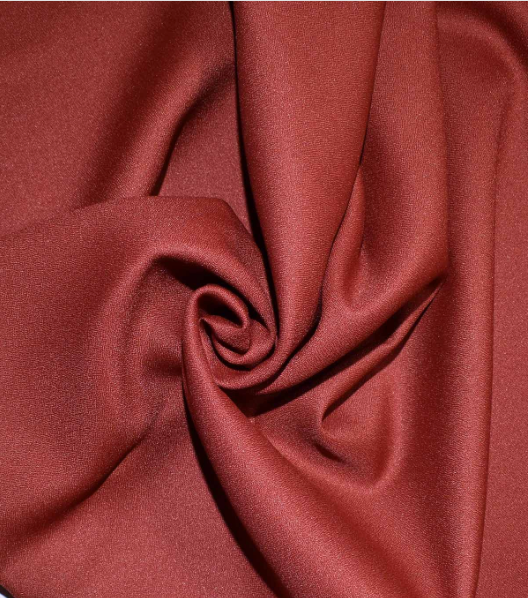 I think 3777 matches your fabric the best, so I'd choose that, though it's close with 355. And I agree with you on 938 for the brown; I, too, feel the last looks almost black. Thank you both for your responses! I will tentatively plan on using 3777 and 938. 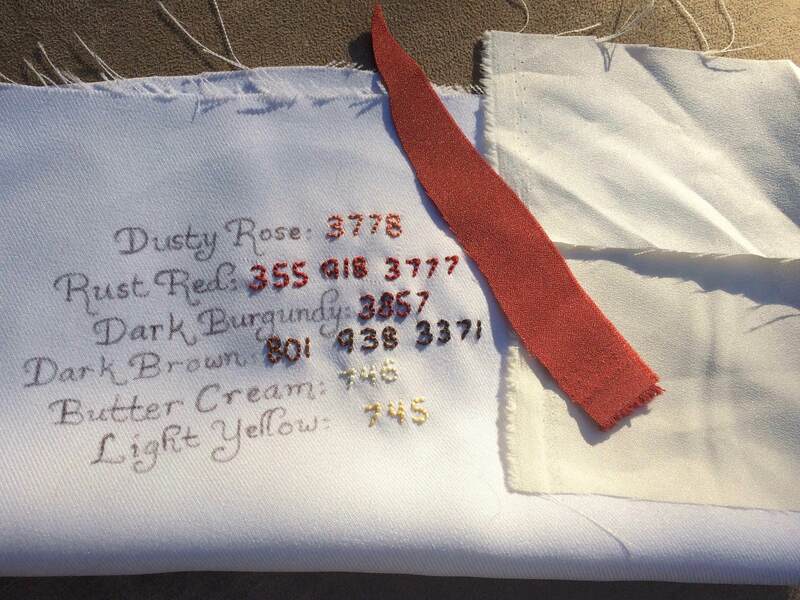 Once I start embroidering I'll post a picture of it to double check with you all. 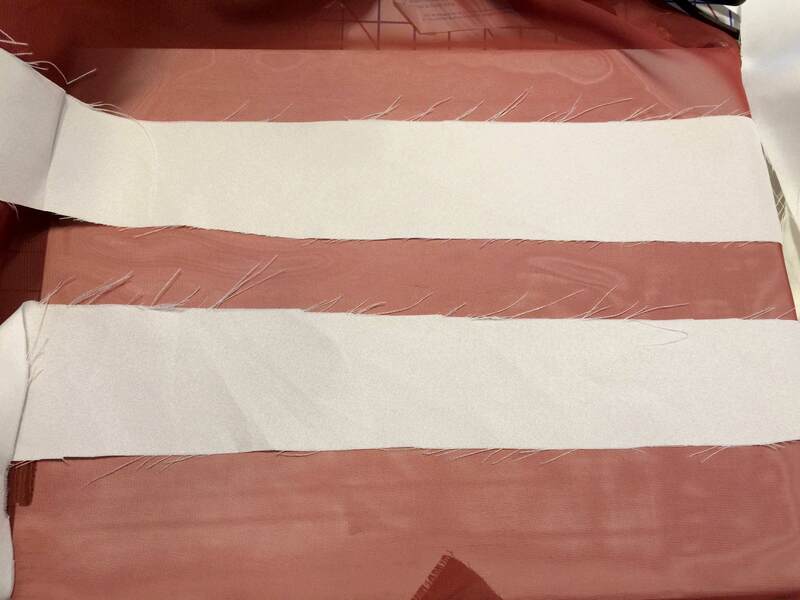 What do you all think about the fabric for the cloak — should I go with the Snow White (off-but-almost-white) or the Eggnog (more of a creamy ivory), both pictured above? I think it's more of an off-white (eggnog?) than pure white. The name "Snow White" is a little confusing, but they're actually both off-white. One (Eggnog) is just a darker off-white than the other. 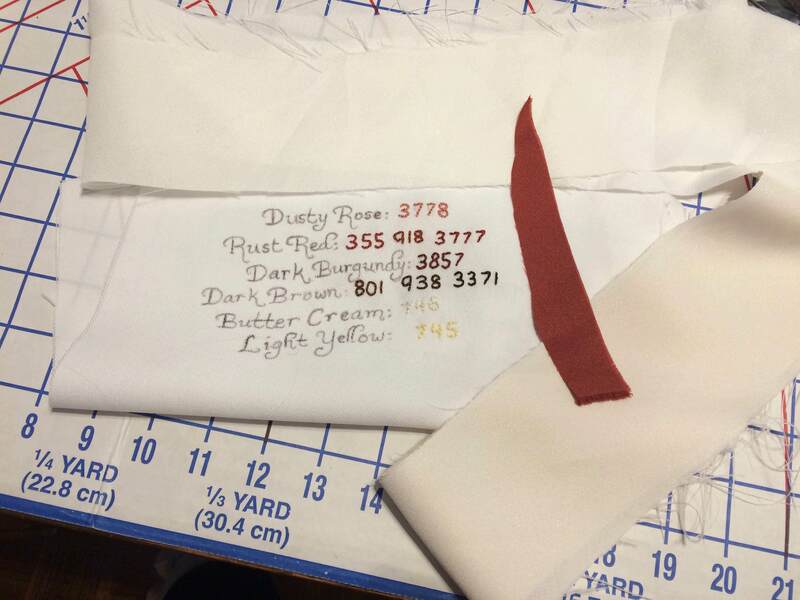 I'm thinking I'll try putting my swatches in front of the rust-colored chiffon and seeing what that looks like, since the cloak will be lined with it anyway. I'll share those pictures soon. Good idea. That will give you something to compare to and see what works with under different lighting conditions. 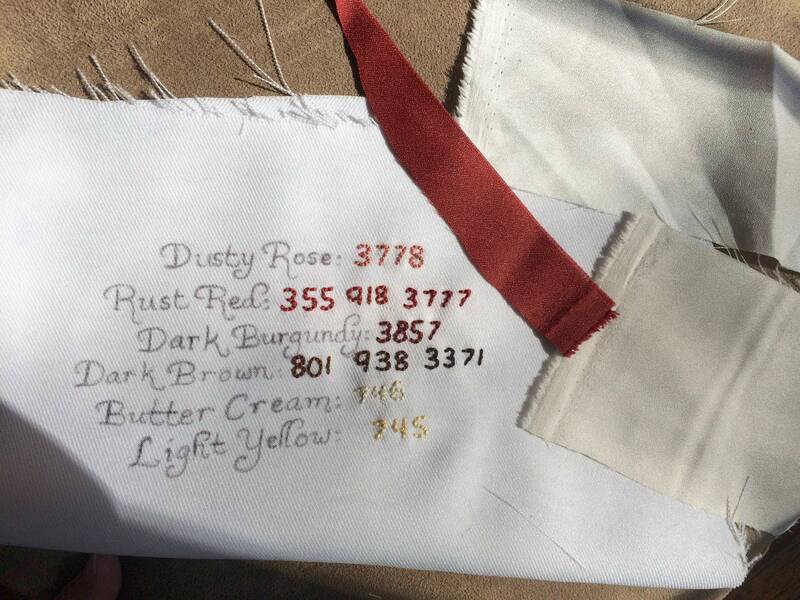 Alright, so when the swatches are on top of the rust chiffon the difference between them is really subtle! I think I prefer Eggnog, because it's more clearly off-white/cream, but I'd love to hear your opinions. In the pictures below Eggnog is on top and Snow White is on the bottom. 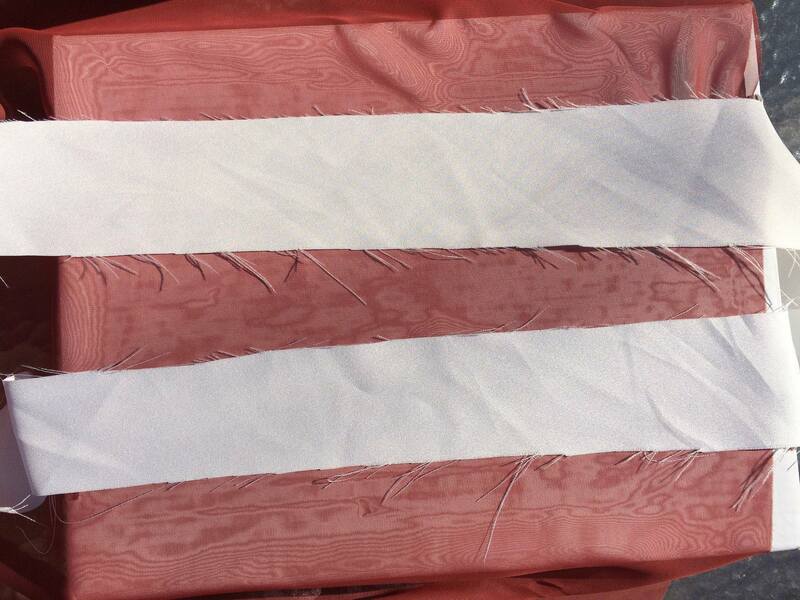 I think you are right that the fabric leans almost gray, so I'd tend towards the "snow white" color. I think all the colors look really lovely so far! 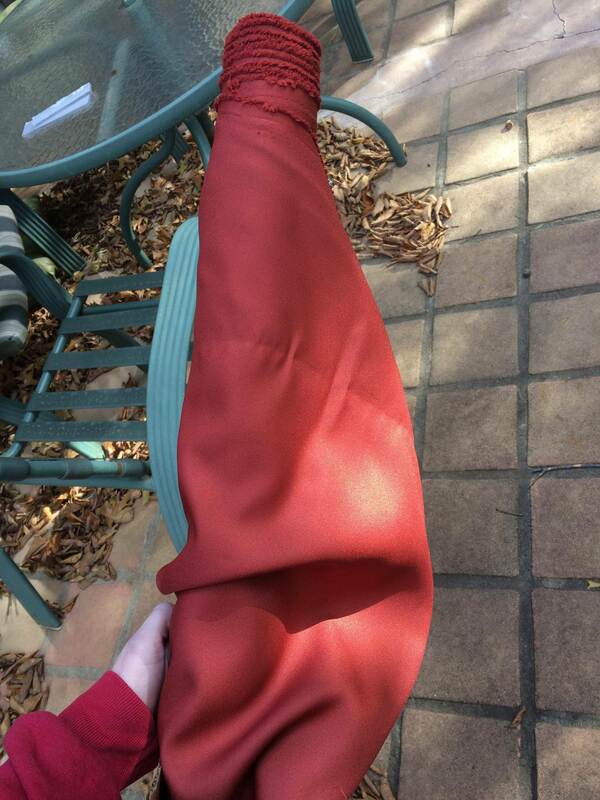 I just bought the crepe for the cloak in Snow White and will hopefully get started on it this weekend! I think both looks lovely, but I prefer eggnog myself. (Then again, I generally don't like how harshly snow white/pure white tends to photograph, so I tend to avoid it).